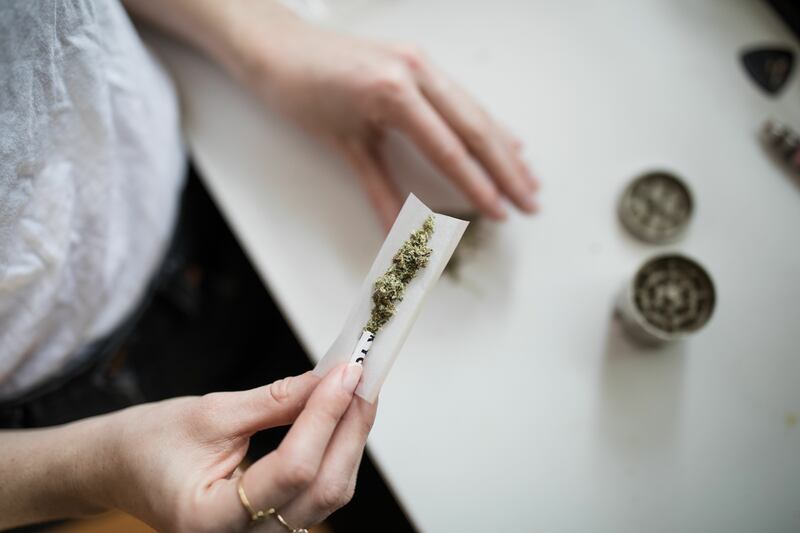 Alaska might become the first place in the U.S. to officially permit recreational marijuana consumers the right to use cannabis in specially state-licensed establishments. The state’s Marijuana Control Board on Wednesday published proposed changes to regulations allowing cannabis dispensaries to seek approval for onsite consumption. An earlier proposal for consumption lounges was rejected in February 2017. If approved, Alaska marijuana retail stores would be able to apply for an on-site consumption “endorsement.” Applications would cost $1,000, with annual renewals running $2,000. According to the proposal, dispensaries could sell “marijuana bud or flower in quantities not to exceed one gram to any one person per day” and “edible marijuana products in quantities not to exceed 10 mg of THC to any one person per day” to customers to consume on the premises. Patrons would be able to sample purchases made at the dispensary at either a “fenced-off outdoor area” or a separate indoor ventilated area,” the Fairbanks News Miner previously reported. Permits could be protested by local governments, but unless a local government explicitly bans on-site consumption, the state marijuana board would have the final say whether to grant the license. If the changes are approved, Alaska would be the first state to allow such dispensary/lounge hybrids (or “sampling rooms”) at the state level. Currently, a limited number of businesses in Denver that are not dispensaries can seek cannabis consumption lounges, following approval of a local ballot initiative. The first, a coffee shop and cafe called The Coffee Joint, opened up in the spring. Several San Francisco dispensaries operating under permits from the medical cannabis era have consumption lounges. Advocates have argued that “consumption lounges” or other legal, permitted businesses where adults can consume marijuana without fear of penalty—for themselves or for the business—is one of the pieces missing from marijuana legalization, even as more states end prohibition or move in that direction. In the states where marijuana is legal for adults 21 and over to consume, consumption in public is specifically forbidden and is punishable by a citation and fine. Landlords also have the right to ban smoking in rental housing. This presents a conundrum. Such residents, including residents of subsidized units housing veterans or seniors, risk eviction if they consume marijuana inside. Outside, they risk a citation (or just public opprobrium). And tourists visiting legal marijuana states often have no place to consume their cannabis. Alaska voters approved marijuana legalization in 2014. Arguments against allowing consumption lounges similar to what consumers of alcohol take for granted—“bars”—include fears of stoned drivers causing havoc on roadways. Regulators will accept written public comments on the proposed new rules until November 1, and will hold a public hearing on December 19 at which people can deliver oral feedback. “After the public comment period ends, the Marijuana Control Board will either adopt the proposed regulation changes or other provisions dealing with the same subject, without further notice, or decide to take no action,” regulators’ notice says. Chris Roberts is a reporter and writer based in San Francisco. He has covered the cannabis industry since 2009, with bylines in the Guardian, Deadspin, Leafly News, The Observer, The Verge, Curbed, Cannabis Now, SF Weekly and others.